Nashville, TN -- Now celebrating their 40th year in bluegrass music, The Dry Branch Fire Squad is scheduled to make a rare appearance at The Station Inn on Friday, August 8, 2014. Their last appearances in Nashville were in the late 1970s and early 1980s, when Bill Monroe and Kenny Baker sat in as special guests. Recording on Rounder records, The Dry Branch Fire Squad has been playing old-time, purebred traditional bluegrass music with conviction for almost a half-century. 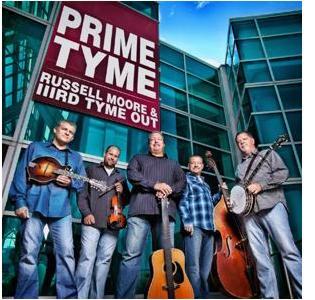 They are affectionately known as one of the most important and entertaining bands in bluegrass history. From WSM to The Station Inn, Donna Ulisse celebrates "Showin' My Roots!" Bluegrass singer songwriter Donna Ulisse and her band The Poor Mountain Boys spent the release date morning of Showin' My Roots in the WSM studios on the Coffee, Country and Cody show. The hour included some live performances of the songs off the album by Donna & The Poor Mountain Boys as well as interview segments between Bill Cody and Donna. Several tracks were also featured for the listeners. The photo to the left features Left to Right: Rick Stanley, Bill Baldock, WSM radio host Bill Cody, Donna Ulisse, Greg Davis with Jon Martin kneeling in front. Read more about From WSM to The Station Inn, Donna Ulisse celebrates "Showin' My Roots!" 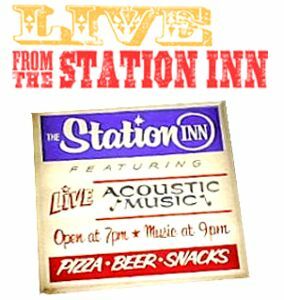 Nashville, TN -- Country music singer-songwriter Alan Jackson will perform at Nashville’s Station Inn on August 27 at 8:30pm. 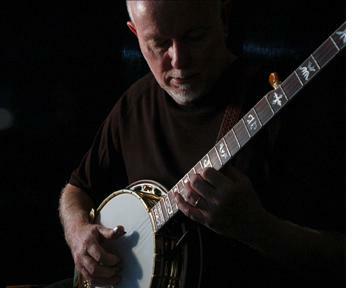 The show will feature the players from Jackson’s upcoming The Bluegrass Album, set for release September 24. 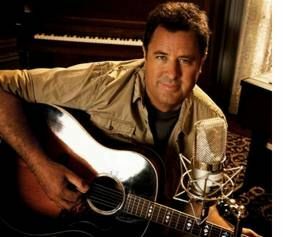 Jackson wrote eight of the fourteen songs on The Bluegrass Album, which will be released on ACR (Alan’s Country Records)/EMI Records Nashville and is produced by Keith Stegall and Jackson’s nephew, Adam Wright. A review of the album by Bob Cherry and is creating a great deal of excitement and a lot of anticipation for the new project. 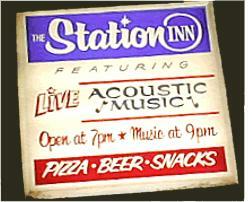 Nashville, TN -- Dave Adkins & Republik Steele will make their debut performance at the World Famous Station Inn in Nashville this Saturday, July 20. This historic venue has played host to some of the top names in music through the years and draws fans from around the world. The band’s hard driving instrumental talents, combined with Dave's powerful lead vocals and infectious personality, have put them in the spotlight at many major festivals and venues this year. Nashville, TN -- Renowned impressionist painter, C.W. Mundy, whose debut CD, Road Trip, garnered rave reviews in both the art and music worlds, recently headlined his first show at the world famous Station Inn in Nashville, TN. The packed house proved that his decision to delve back into the music world while in the midst of an incredibly successful art career was definitely a move that did not go unnoticed. Mundy's style is a unique blend of bluegrass, swing, jazz, and Americana, with a bit of disco beat thrown in.